Brookstone Inc. signage is displayed outside of a store at the Third Street Promenade outdoor mall in Santa Monica, California, U.S, on Monday, Dec. 5, 2011. Brookstone said it's already started the process of shuttering its remaining 101 stores at malls across the U.S.
Brookstone announced its plans to file for Chapter 11 bankruptcy protection and hopes to find a buyer for certain parts of the chain, which is known for selling unique gifts and tech gadgets at its stores. 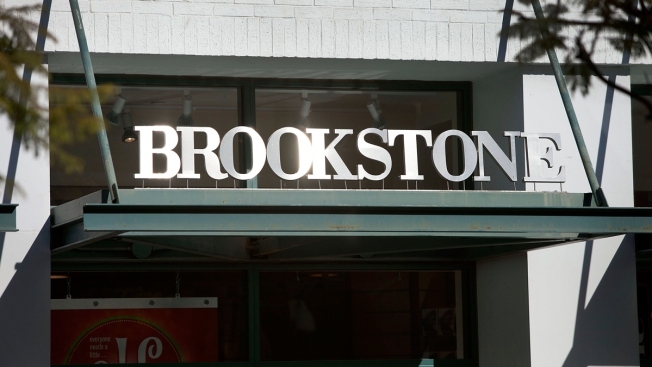 The company said in a press release Thursday it's already started the process of shuttering its remaining 101 mall stores across the U.S. Brookstone cast blame on a "continued deterioration of traditional mall traffic." The company's filing for bankruptcy adds to a number of mall-based retailers that have done so within the past few months, many of them apparel brands, including The Limited, Wet Seal, Rue21 and department store chain Bon-Ton. A shift toward online spending among consumers has threatened many businesses that rely primarily on their brick-and-mortar locations to drive sales. Shopping malls in particular already have a glut of vacant stores to fill and are looking to online start-ups and international businesses to do so. CNBC reported earlier this year that U.S. malls haven't been this empty since 2012, but landlords are still hopeful they'll be able to find new uses for the space, many outside of retail. "The decision to close our mall stores was difficult, but ultimately provides an opportunity to maintain our well-respected brand and award-winning products while operating with a smaller physical footprint," Brookstone CEO Piau Phang Foo said in a statement. The company said it will continue to operate its airport, e-commerce and wholesale businesses — these units are what it hopes to sell. Brookstone currently has 35 locations in airports across the U.S. This is the second time the retailer finds itself in this situation. In 2014, Brookstone filed for bankruptcy protection and was later sold to a Chinese business that kept most of its more than 200 locations running at the time. To help pay vendors "on a priority basis for goods and services ordered and received from this point forward," Brookstone said it's secured roughly $30 million in post-petition financing through Wells Fargo Bank and Gordon Brother Finance Company. It hired Gibson, Dunn & Crutcher and Young Conaway Stargatt & Taylor as legal advisors, Berkeley Research Group as a financial advisor, and GLC Advisors & Co. as its investment banker.